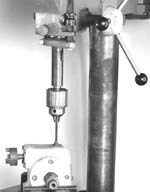 These Metal Cutting Drill Bits - Hardened Steel Drill Bits - Bearing Race Drill Bits - Safe Drill Bits - Hard Steel Drill Bits - Carbide Tipped Drill Bits - SP Series are a Carbide Tipped Bit is ideal for locksmiths, auto mechanics, or any operator drilling into extra hard steel such as safe, bearing race, or die. These Metal Cutting Drill Bits - Hardened Steel Drill Bits - Bearing Race Drill Bits - Safe Drill Bits - Hard Steel Drill Bits - Carbide Tipped Drill Bits - SP Series, are carbide-tipped and designed to prevent chipping and to dissipate heat quickly. These Metal Cutting Drill Bits - Hardened Steel Drill Bits - Bearing Race Drill Bits - Safe Drill Bits - Hard Steel Drill Bits - Carbide Tipped Drill Bits - SP Series are manufactured to ANSI Tolerances. Special Fluting for Rapid Chip Evacuation and Heat Dissipation. The B & A Hard Steel Bit is ideal for locksmiths, auto mechanics, or any operator drilling into extra hard steel such as safe, bearing race, or die. 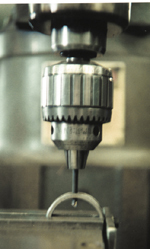 The SP Series carbide-tipped design prevents chipping and dissipates heat quickly. 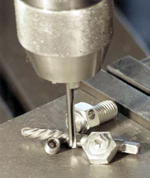 Manufactured to ANSI Tolerances, it is not for production use due to the oversized carbide cutting tip.